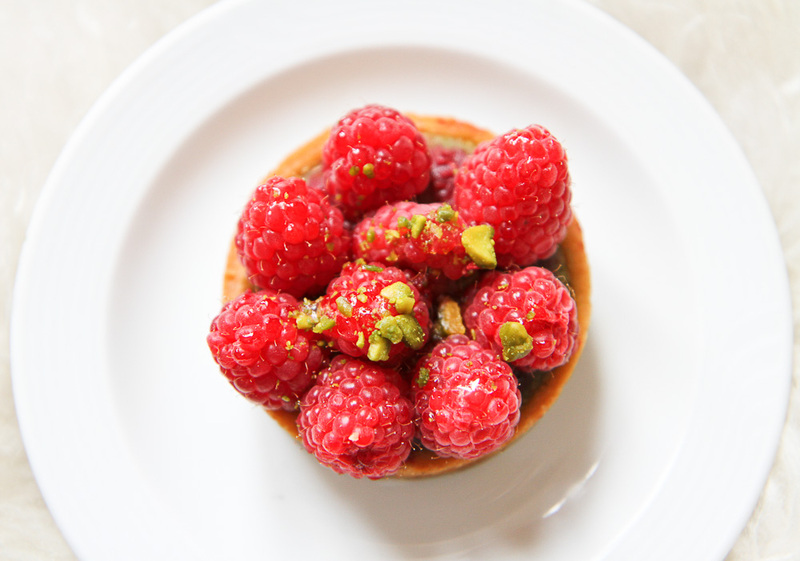 Paris is a haven for patisseries and undeniably home to the best in the world. Don’t be afraid to indulge, after all eating your way through the city of lights is a big part of experiencing it and chances are you’ll be walking off all of those calories anyway. 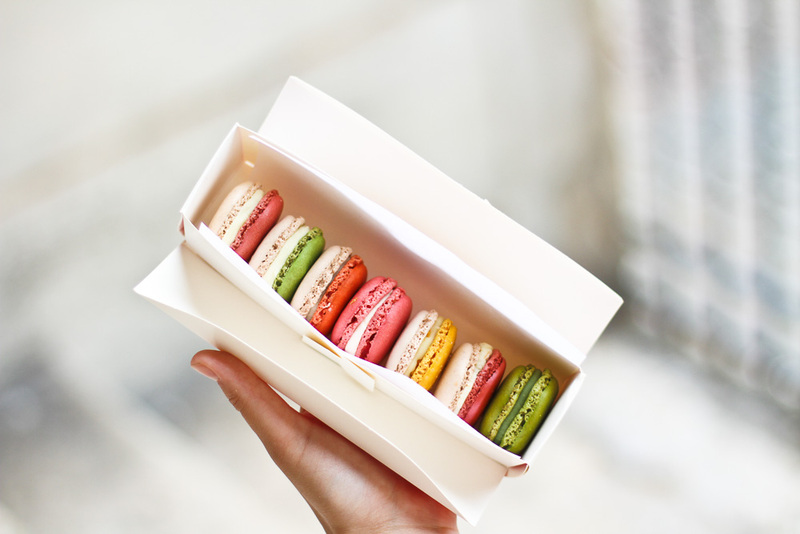 My advice to you would be to embrace the sweet life, if only for a short while and use this guide containing only the best pastry shops in Paris, to do so. 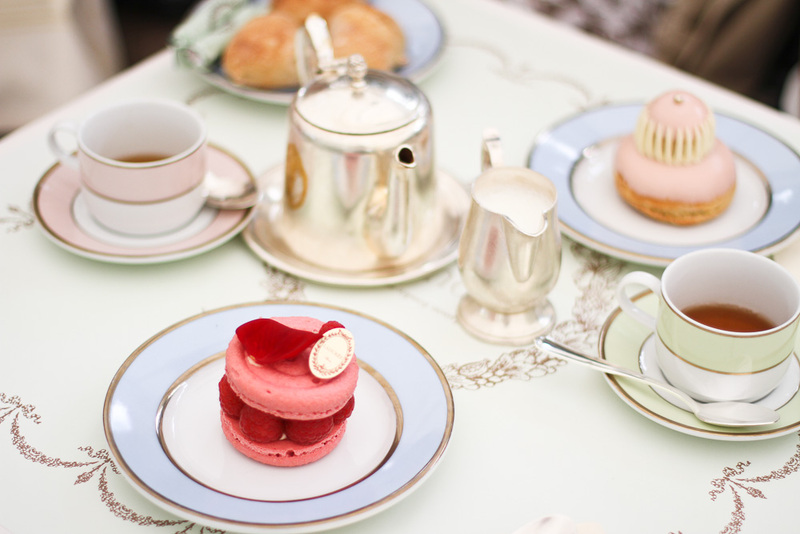 A trip to Ladurée is often the first priority for many visitors to Paris and who can blame them? It’s certainly the first thing in my head as I jump off the plane. Ladurée still remains the prettiest of all of Paris’ patisseries. Head to the store along Rue Bonaparte and grab a box full of pastel-coloured macarons to share along the banks of the Seine. Or alternatively find a spot of the terrace along the Champs-Elysées and order a Réligieuse and a Saint-Honoré swallowed down by the Marie-Antoinette tea. Down a cobbled street in the Latin quarter you’ll find this adorable little sweet shop dedicated to the famous French treats: choux à la crème. These cream puffs are not only as cute as a button but also dangerously moreish. They’re so light and fluffy that you can just keep on eating them. 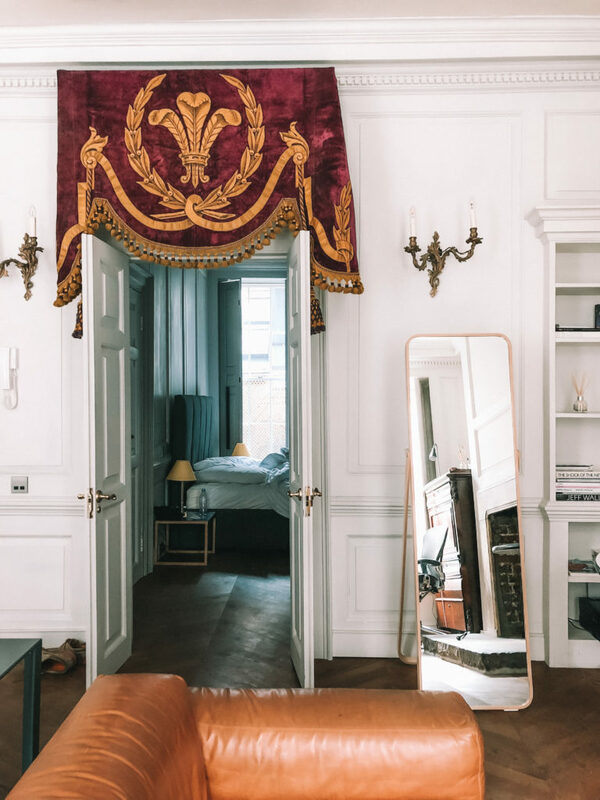 Climb the winding staircase to the attic-like room and take the window seat with a charming view towards Notre Dame and enjoy a couple (or five) of these sugary delights. 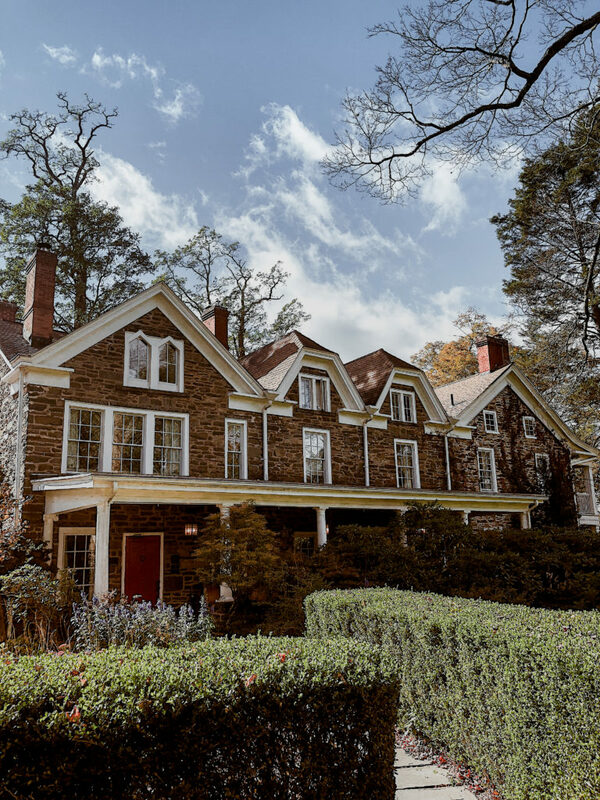 Stepping foot into this whimsical tearoom will have you instantly in awe. Natural light floods in through the windows and exposed bulbs hang from the ceilings, which combined, provide an ethereal light dancing off the pastries making them even more tempting. The pastel blue hues and marble tables only add to the interior-décor perfection. Oh and did I mention that all of the patisseries are mouth-wateringly good? Don’t leave without a couple of caramels au beurre salé for the road. Pierre Hermé is the master of flavor combinations; with an adventurous flair he’s never too scared to create the unexpected and he always makes it work. Be it vanilla and olive oil or chocolate and foie gras, as bizarre as the flavor duos might sound they always taste phenomenal. Keep an open mind and always trust in his genius. 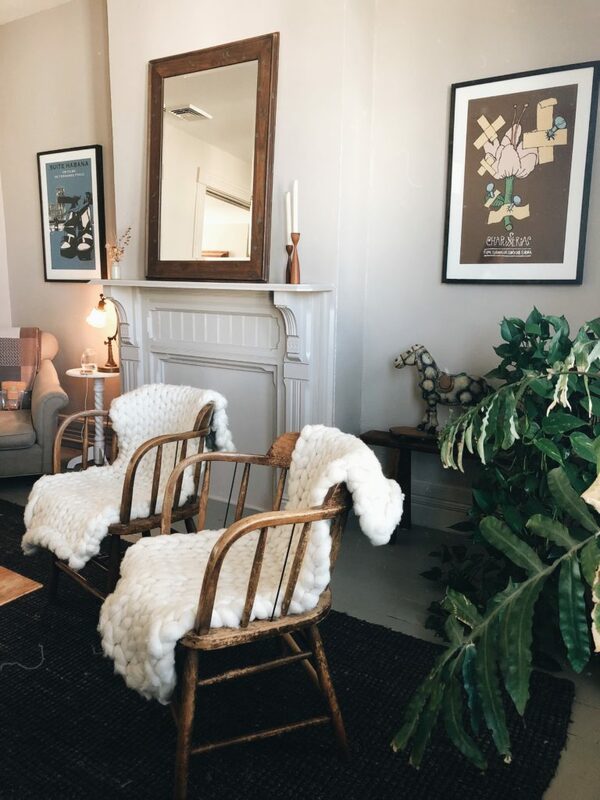 My favourite store is the flagship one because just a couple of steps away lies Place Saint Sulpice, a beautiful, serene square where you can savour his creations on one of the benches. 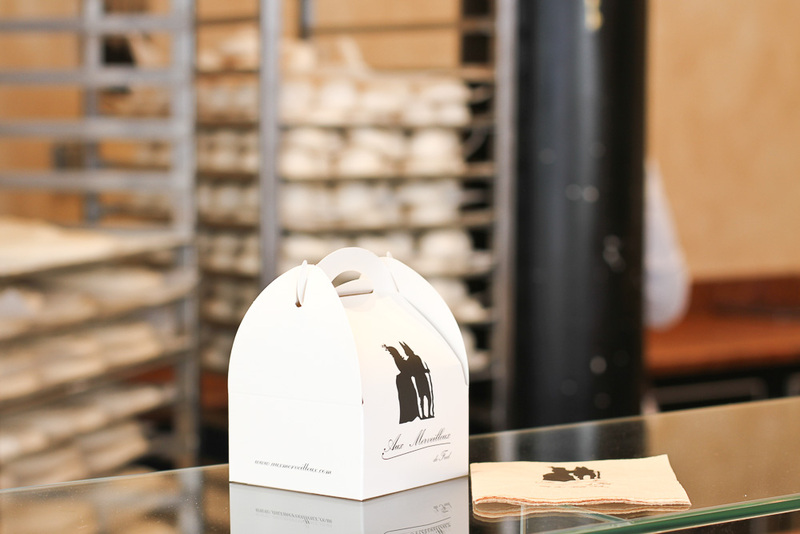 Be sure to pick up some macarons as his are some of the best in town. Famous for its lavish hot chocolate, there is nothing more comforting than ordering a cup à emporter and slowly sipping it through the Tuileries on a cold winter day. However the interior of the tearoom should be a tourist attraction in its own right and resembles a château more than a patisserie. If you’re feeling particularly indulgent order a mont blanc with your chocolat chaud, although I warn you that you might not be able to eat for a day or two. Here, it really is death by chocolate. 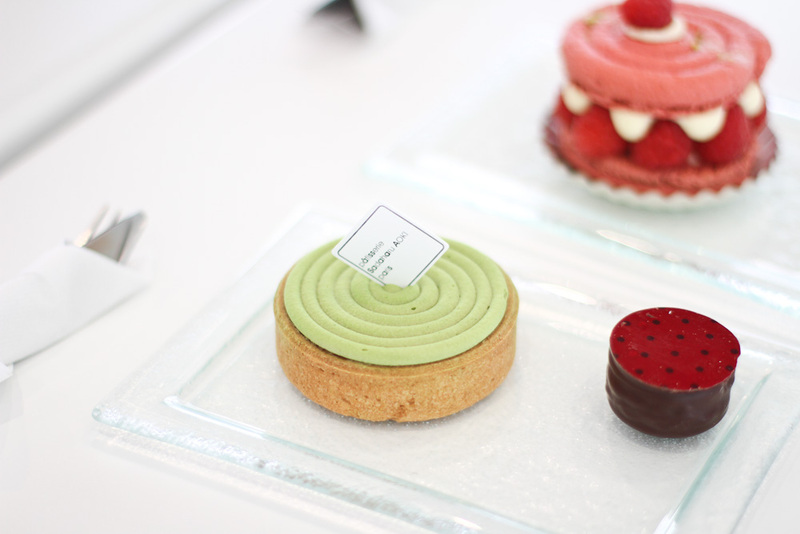 Sadaharu Aoki modernizes the classic French patisseries with a Japanese touch. Staying true to his roots, you’ll find accents of yuzu and matcha influencing his creations, even going as far as creating a wasabi flavoured macaron. The minimalist tearoom exudes a calming zen and provides a canvas for his daring yet delicious patisseries to take the spotlight. As the name of this patisserie suggests, this place is where all of your gastronomic dreams will come true. 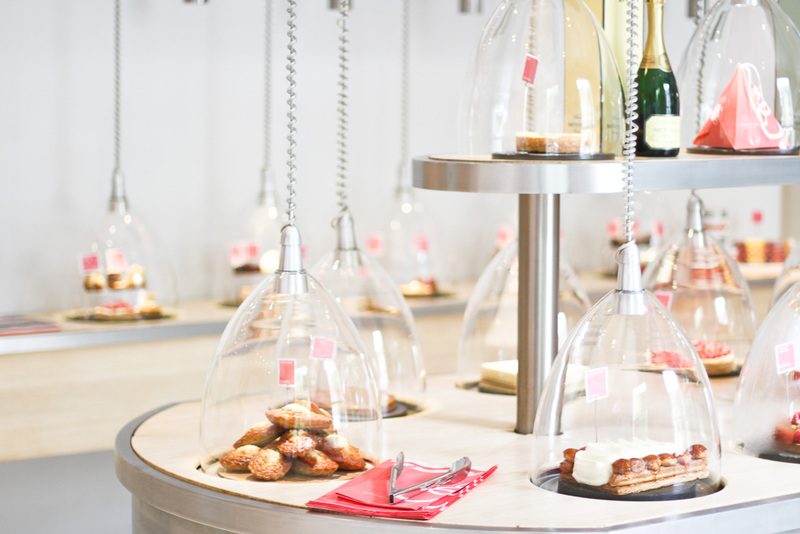 The patisseries hang from the ceiling in glass domes displayed as the pieces of art that they truly are. Everything is delicious, but don’t leave without trying the masterpiece: the Paris-Brest. What lies in the cabinet looks like a selection of the daintiest cupcakes, and for a long time before trying them I was convinced they were, tricked by their little paper shells, however to my great surprise what I actually found nestled inside was a handcrafted patisserie. The two women behind les Fées Pâtissières have recreated everything from the Saint-Honoré to the Tarte au citron, the size of a mouthful, just big enough to waken your taste buds, yet just small enough to leave you wanting more. L’Éclair de Génie has become famous for reinventing the éclair and dare I say it, making it more fashionable than the macaron. The jewel-coloured éclairs displayed in the counter come in the most tempting of flavours from yuzu lemon to passion fruit and raspberry. Once more the genius behind the operation, Christophe Adam is always introducing seasonal flavours which means that there is always something new to try. Aux Merveilleux de Fred only serve one patisserie but boy is it a good one. Two meringue hearts are sandwiched together with whipped chantilly cream then heavily rolled in flaked chocolate. You can watch the pastry chefs through the window working attentively to create these heavenly patisseries. I would highly recommend the flavour dubbed the Incroyable as it’s made with the addition of crushed speculoos biscuits and tastes just as incredible as it’s name proclaims it to be. The name of this place does not do it justice, literally translated as ‘some cake and some bread’ and sure they do sell cake and bread but what it omits to include is the killer selection of patisseries that you’ll also find here. The perfect spot for the breakfast run as you can pick up freshly baked baguettes, flaky buttery croissants and indeed a pastry or two. Café Pouchkine is conveniently located inside the department store Printemps and once you know of its location you won’t need much of an excuse to stop for a mid-shopping sugar pause. 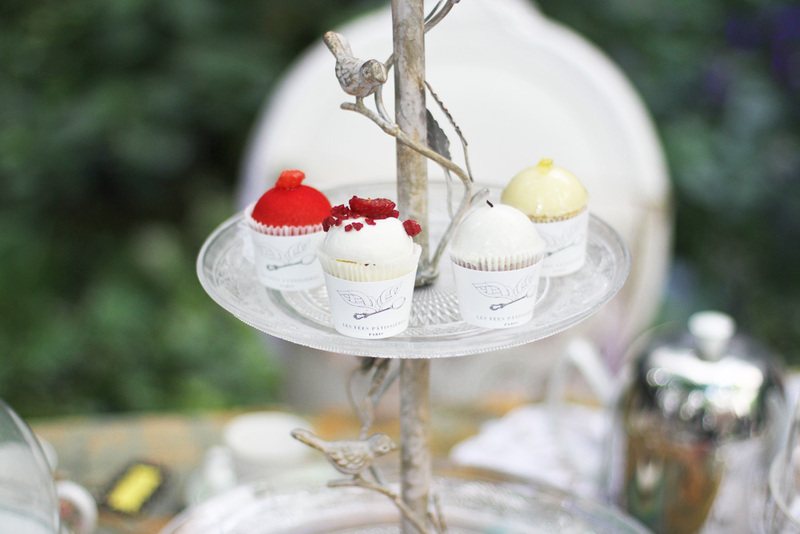 The patisseries are as exquisite as the ornate interior, each one carefully crafted to meticulous attention. You’ll notice Russian influences throughout, one of the specialties being the Medovik, a multi-layered honey cake that is traditional in Russia and tastes heavenly. Macaroons are the epitome of Paris, am i right? I just never fail tripping for Paris again and again…And again. 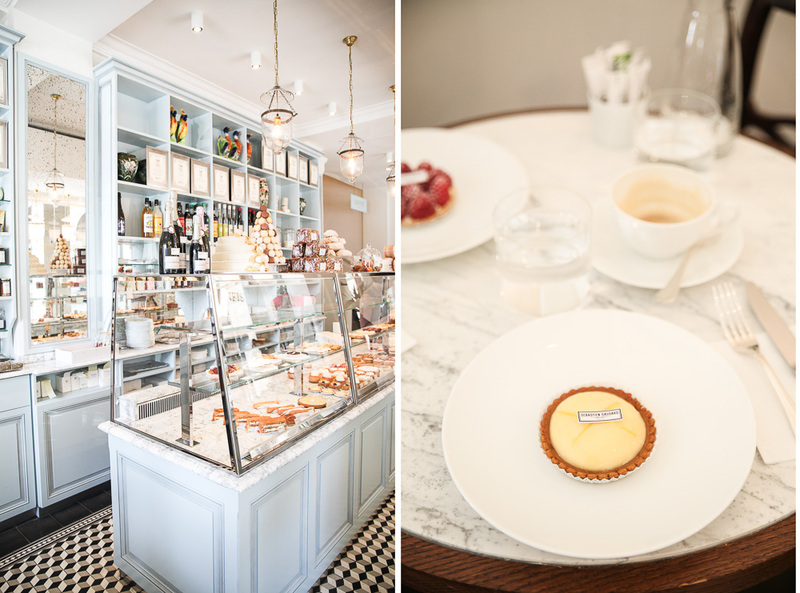 I think the best part about La Duree’s pastry shop is their adorable plates. No matter where you go in the world, people will always be able to recognize the La Duree plates! Thanks for this amazing list! I’m always looking for new pastry shops to discover in Paris. 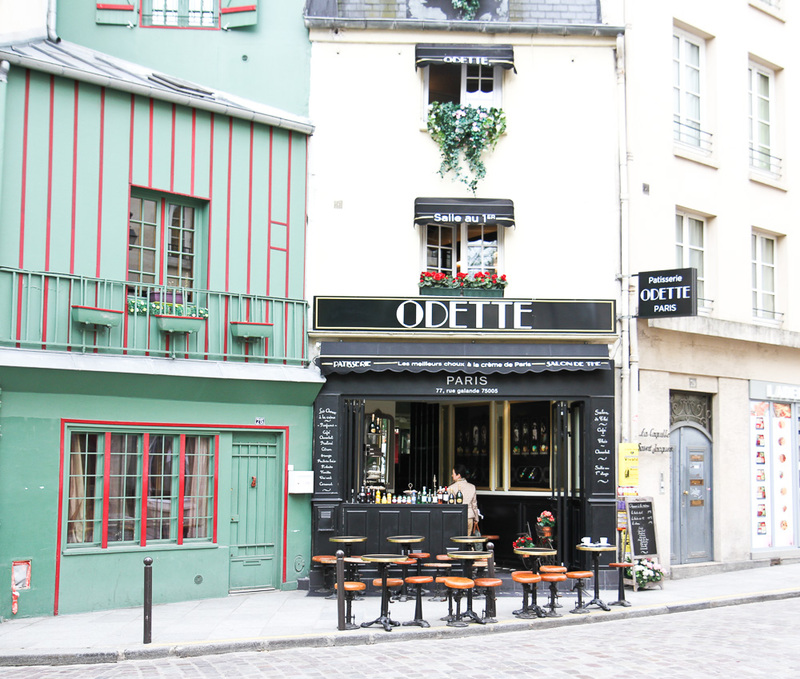 My favorite is a place called Carette at Trocadero in the 16th. The hot chocolate and macarons are devine, and it’s great for people watching. Oh and love the photos you’ve taken here, they’re great! 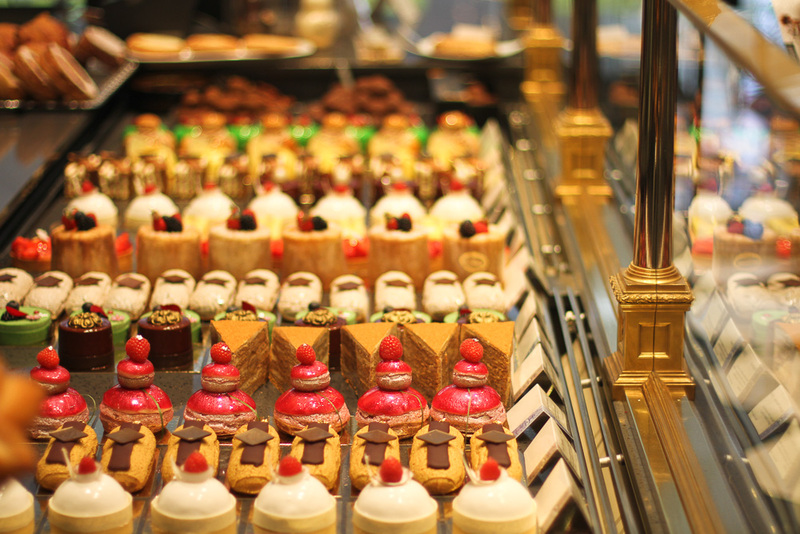 I´ve been to Paris a few times and yes they have definitely the best pastry shops! What camera were these photos taken on? They’re beautiful! Thanks for giving me a couple more patisseries to add to my Paris list! I didn’t get a chance to visit many on my last trip over the channel, but I plan on coming back soon and going on a full-blown pastry crawl. Odette and Aux Merveilleux de Fred are high on my list! I’m getting so hungry look at all of these amazing photos! I’d love nothing more than to jump on a plane to Paris right now to try some of these, but sadly I’m leaving Europe today to go home to Melbourne. Next time! Mm yum this blog post feels like torture since everything looks so delicious that I’d want to be there tasting them right at this minute!! Laduree is my all-time favorite in the whole world but next time in Paris I’ll try to see all the other heavens on earth too! I actually squealed a bit when I saw the title of this post. 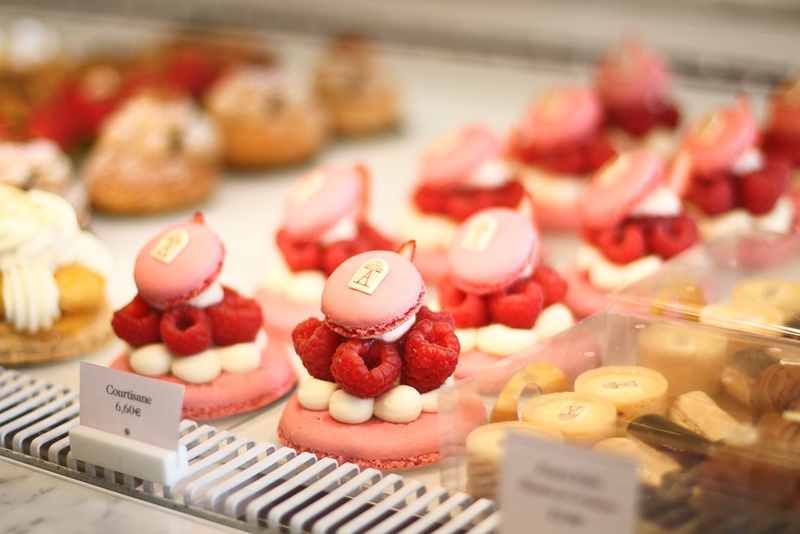 I’ll be in Paris in 2 weeks, and I will definitely be visiting some of the patisseries on this list!! 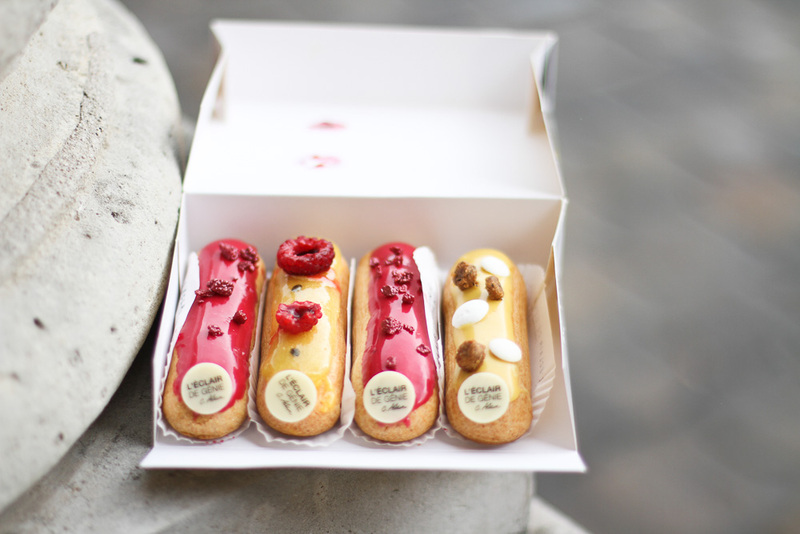 Oh how I wish I was in Paris right now eating some of these delicious pastries!!! I’ll have to check these off when I’m in Paris this November! WOW I ABSOLUTELY NEED TO GO THERE!! Wow, Brooke! The timing couldn’t have been more perfect as I am visiting Paris next week! Thank you so so much! 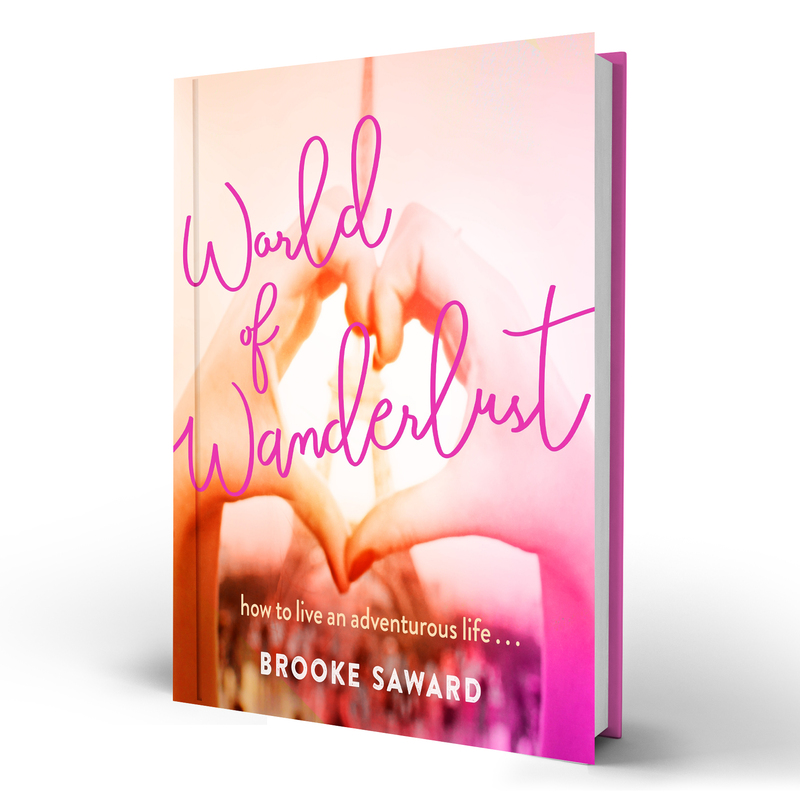 I cannot wait to try some of the ones on this list!